When I was thirteen (13) years old, it was a very good year for space exploration in America. It was the year 1969 and Astronaut Neil Armstrong made history by being the first human to set foot on the moon. He uttered these words, which preserved that moment in time. “That’s one small step for man, one giant leap for mankind.” This is considered one of the highlights of the Nixon Administration. As Richard Milhouse Nixon was serving as president that year, it was also a very good year for him. Nixon served two term as the nation’s leader, from 1969 – 1974. Some will remember him as adept in foreign relations and being credited for helping strengthen ties between China and the United States. That’s some people. Everybody probably remembers Watergate. The scandal that ended his political career. 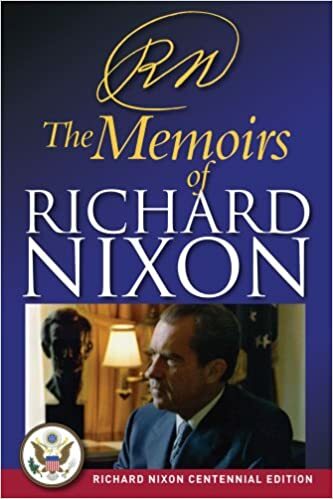 Nixon resigned from the presidency in August 9, 1974. It was either that or be impeached. Gerald Ford, the vice-president, was inaugurated to take his place, that same day and … almost immediately … as if it were the first top priority item on his “To Do List”, granted Nixon an “absolute pardon”. Absolutely! Very many citizens were absolutely furious! But they were probably Democrats. Surely no Republicans were upset about Ford’s “official act”. 🙂 As for me? My reaction was neutral. 1974 marked the end of my sophomore year and the beginning of my junior year at the University of Miami in Coral Gables, Florida. (“Random Facts About Me“. :)) So the top priority on “My To Do List” was to continue pursuing my higher education goals. As for Nixon, from 1974 forward? It appears he lived quietly in his home in Key Biscayne, Florida and kept himself occupied by writing books and giving speeches. He had bills to pay!